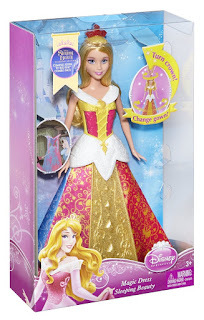 Right now you can get the Disney Princess Sleeping Beauty Color Changing Dress Doll for $9.16 (Retail $20.99)! -Transform from pink to blue – over and over again! *I've been hunting for a great deal for awhile since this is on my daughters Birthday Gift list and this is by far the lowest price I've found!